1345 FEET OF SANDY LAKESHORE WITH A PRIVATE HARBOR ON ONE OF MINNESOTA'S CLEAREST LAKES. . . .
SECLUDED PRIVACY, TRANQUIL SURROUNDINGS, YOUR OWN PRIVATE 8.5 ACRES WITH OVER 800 FEET OF WATER FRONTAGE ON LAKE KABETOGAMA IN MN’S VOYAGEUR’S NATIONAL PARK. NURTURE . 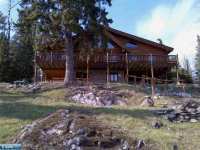 . .
GORGEOUS, SOUTH FACING WESTERN RED CEDAR LOG HOME. 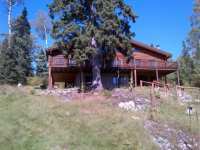 SPECTACULAR VIEWS, VAULTED CEILING AND BEAUTIFUL . 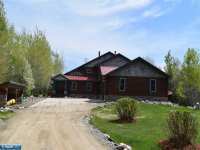 . .
ONE OF THE NICEST QUALITY BUILT HOMES WITH ALL THE BELLS &AMP; WHISTLES. THE TAR DRIVEWAY WINDS . . . 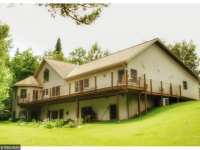 EXTREMELY HIGH END CUSTOM QUALITY HOME MIXED WITH A TOUCH OF NORTHWOODS UPPER-CLASS. INCLUDES . . .
SET ON ONE OF TROUT LAKE’S BEST WATERFRONT LOTS, THIS HOME WAS CUSTOM BUILT FOR MAXIMUM ENJOYMENT . . . 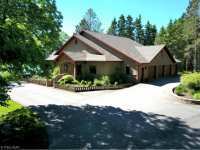 STUNNING LOG HOME ON OVER 7 ACRES &AMP; 350' SHORELINE W/ WALKOUT BASEMENT HAS BRAND NEW CUSTOM . . . 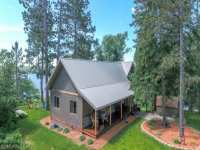 ENJOY RAINY LAKE VIEWS FROM EVERY ROOM IN THE HOUSE! 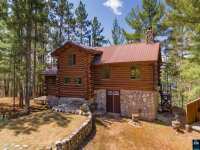 APPRECIATE THE DETAILS THAT WERE PUT INTO THE CONSTRUCTION OF THIS TOP OF THE LINE HOME WITH TREE LINE PRIVACY. . . . 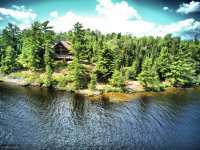 WHEN YOU ARE DREAMING ABOUT YOUR OWN LAKE HOUSE THIS IS MOST LIKELY IT!. 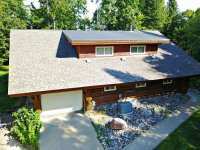 WARM FOYER, LIVING ROOM WITH VAULTED CEILINGS, GAS FIREPLACE, SLIDING GLASS DOOR OPENING TO THE . 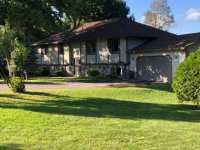 . .
UXURY UP NORTH DREAM HOME WITH BEAUTIFUL SHORELINE AND NEIGHBORING 18 HOLE GOLF COURSE. 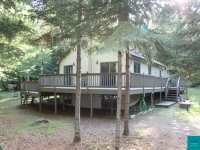 PREMIER LOCATION ON THE NORTH SIDE OF TROUT LAKE SECLUDED ON THE END LOT. JUST . 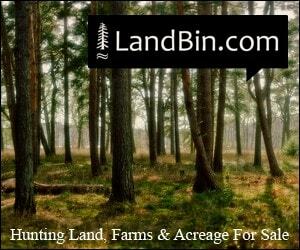 . .
138 ACRES ON 3 LAKES THAT TOTALS 5670 FT OF WATER FRONTAGE. 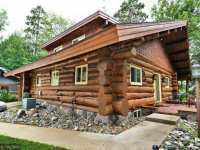 YEAR ROUND LOG HOME OVERLOOKING PRIVATE . . . 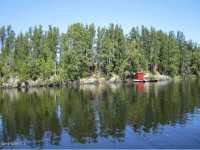 THIS WILDLIFE SANCTUARY AWAITS YOU WITH 80 ACRES OF FOREST AND YOUR OWN LAKE SURROUNDED BY STATE . . .
AMAZING SUNRISES. 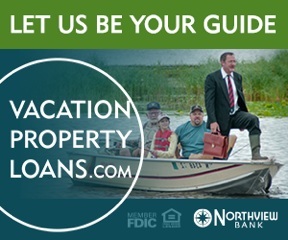 AMAZING SUNSETS.HERE IS YOUR CHANCE TO OWN A PRIVATE ISLAND, TUCKED AWAY FROM THE CROWDS. 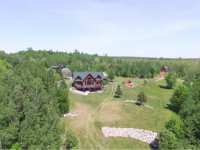 LEAVE THE HUSTLE AND BUSTLE BEHIND ON THIS PRIVATE 3-ACRE . . .
GORGEOUS 5 BEDROOM 5 BATH YEAR-ROUND LAKE FRONT HOME ON SPIDER LAKE. 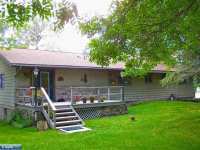 INCLUDES A 2 BEDROOM GUEST HOUSE, GUEST ROOM ABOVE THE GARAGE, AND 2 MORTON BUILDINGS WITH A HEATED . . . THIS HOME IS A STUNNER!! FROM BEING FEATURED IN THE NEW YORK TIMES MAGAZINE TO GRACING THE COVERS . . . 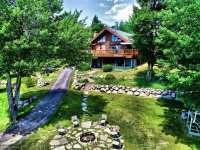 INCREDIBLE OFFERING - LOG HOME ON LEVEL LOT WITH ATTACHED AND DETACHED GARAGES, HUGE SQUARE FOOTAGE, SPACIOUS MASTER SUITE, LANDSCAPED LOT ON BEAUTIFUL SWAN LAKE - . 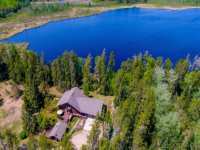 . .
LOST LAKE - FEATURES A GRAND 1.5 STORY LOG SIDED HOME ON 40 ACRES, WELL TAKEN CARE OF, 3 BD, 3 BA LAKE RETREAT W/STONE FIREPLACE, VAULTED CEILINGS, FULL WALK OUT, HUGE . . . 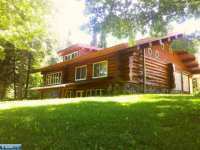 THE ENTIRE MAIN FLOOR HAS IN FLOOR HOT WATER HEAT FOR ALL THOSE COLD WINTER NIGHTS. THE TWO LARGE BEDROOMS HAVE BUILT IN CABINETS FOR COMPUTERS, TELEVISIONS, STORAGE AND . 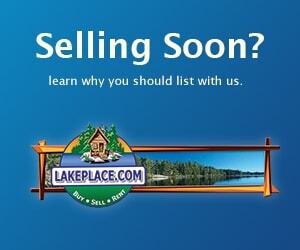 . .
$50,000 PRICE DROP BASED UPON RECENT APPRAISAL. 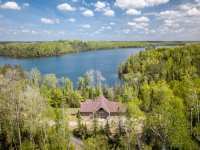 SITUATED ON TWO ACRES WITH 767 FEET OF SHORELINE ON THE RAINY RIVER, THIS IS TRULY A REMARKABLE HOME! BEAUTIFUL . . . 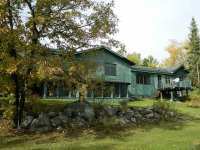 SITUATED ON TWO ACRES WITH 767 FEET OF RAINY RIVER SHORELINE, THIS IS TRULY A REMARKABLE HOME! 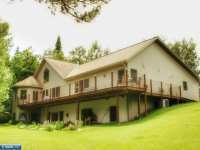 BEAUTIFUL LANDSCAPING, VIEWS, AND 1,500 SQ FEET OF DECK MAKE THIS HOME . . . 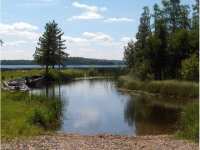 PRIVATE LAKE LIVING! 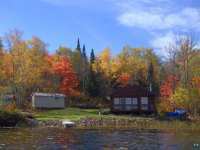 THIS PROPERTY SITS ON APPROXIMATELY 8 ACRES, BORDERED BY 1,200 FEET OF SHORELINE IN BLACK BAY FACING GOLD PORTAGE. ENJOY A CUSTOM EAT-IN KITCHEN, . . . 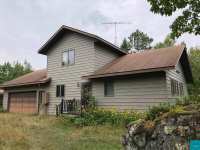 TRULY IN THE HEART OF GOD’S COUNTRY AWAITS THIS BEAUTIFUL 3+ BEDROOM, 4 BATH FOX LAKE HOME! . 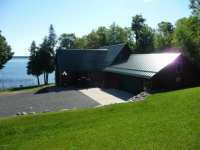 . .
HANDICAP ACCESSIBILITY WAS A HIGH PRIORITY WHEN BUILDING THIS MAGNIFICENT HOME ON JOHNSON LAKE. THE MAIN LEVEL HAS LEVER DOOR HANDLES, HIGH RISE TOILETS, TILED FLOORS, . . . 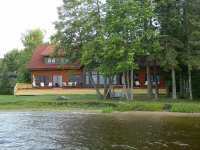 THIS MAGNIFICENTLY DESIGNED HOME HAS 300' OF FIRM SANDY SHORELINE ON JOHNSON LAKE, IS HANDICAPPED . . . 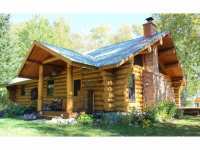 THIS CAPTIVATING HAND SCRIBED CEDAR LOG HOME IS A RARE FIND NESTLED ON OVER 19 PRIVATELY OWNED . 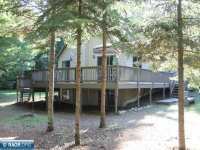 . .
LAKE LIVING AT ITS FINEST WITH A SANDY SHORLINE ON THE BEAUTIFUL SHOAL LAKE. 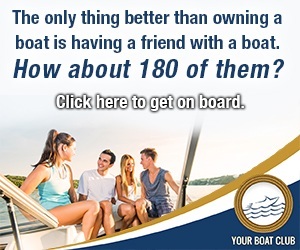 PARK YOUR BOAT AND TOYS READY TO ENJOY IN THE SUMMER AND STORE IN YOUR THREE CAR GARAGE . 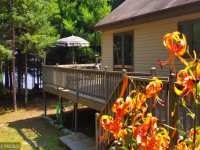 . .
FALL IN LOVE WITH THIS PRIVATE, WOODED, NATURAL SETTING OVERLOOKING THE CRYSTAL CLEAR, DEEP BLUE . 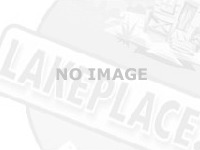 . .
14 Listings in Coleraine MN ..
11 Listings in Pengilly MN ..